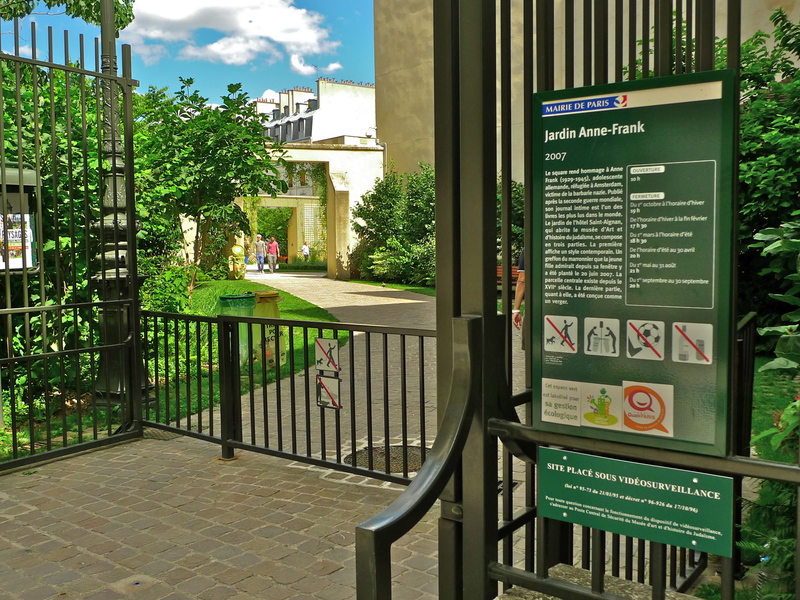 THE JARDIN ANNE-FRANK is easily missed. 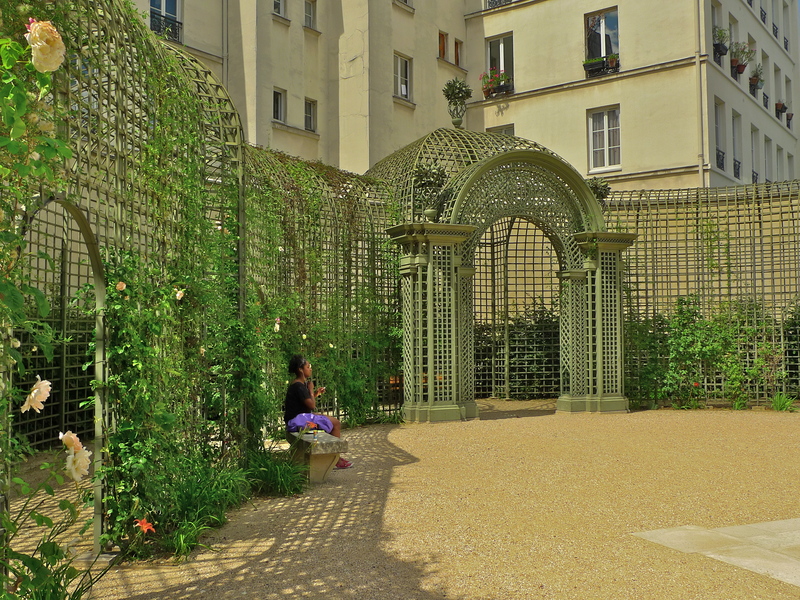 It’s tucked away in a cul-de-sac, the Impasse Berthaud, in the 3rd arrondissement next to the Musée de la Poupée, a private museum housing a collection of some 500 French dolls. 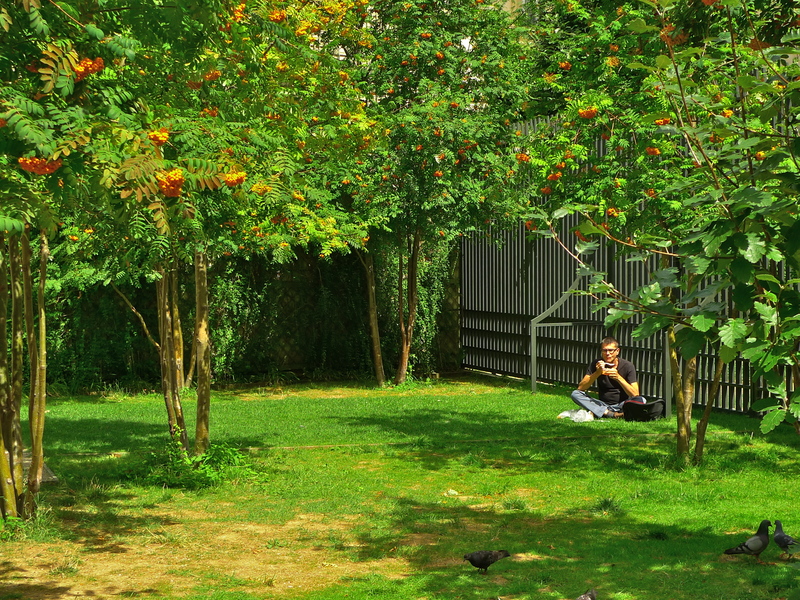 The Jardin Anne-Frank, as the name suggests, is a green space dedicated to the memory of Anne Frank who gained international fame posthumously after her diary was published in which she documented her experiences hiding during the German occupation of the Netherlands in World War II. Anne Frank died in Bergen-Belsen concentration camp in March 1945, aged 15. 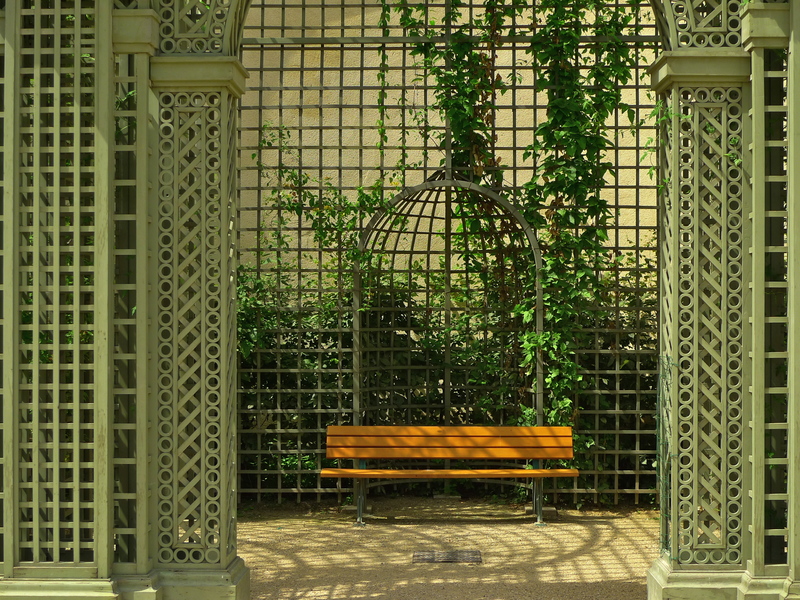 Covering some 4,000 M2, the Jardin Anne-Frank stands in the former gardens of l’Hôtel Saint-Aignan, now the Musée d’art et d’histoire du judaïsme, a museum dedicated to the art and history of Judaïsme. 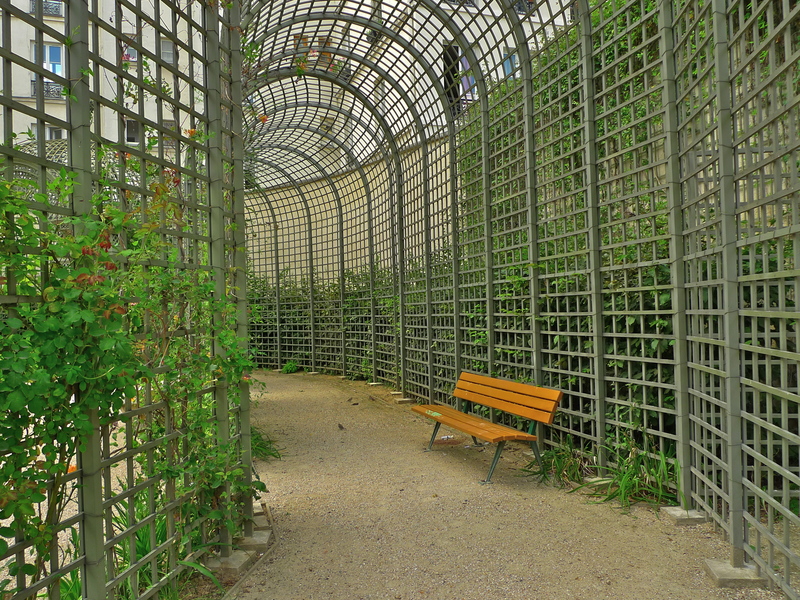 The garden was opened in June 2007 in the presence of Bertrand Delanoë, Mayor of Paris, Pierre Aidenbaum, Mayor of the 3e arrondissement, and Hans Westra, Director of the Anne Frank Museum in Amsterdam. 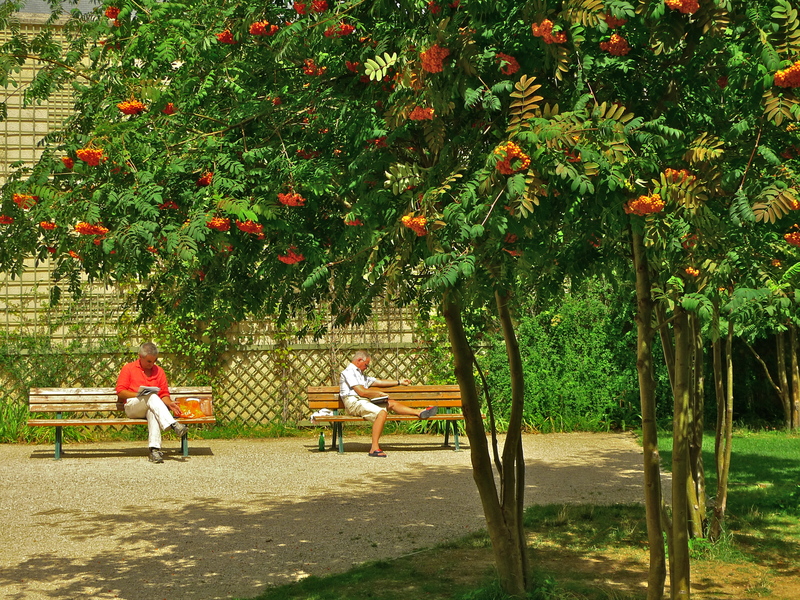 The Jardin Anne-Frank is a delightful and tranquil place to spend a sunny summer afternoon.